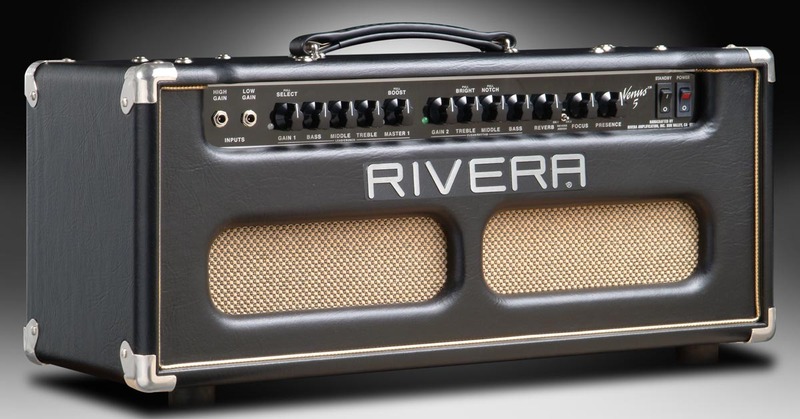 If you want ultra gain on your leads and then want to switch over to a sweet, bloomy and bold clean channel with huge headroom, this 35watt all tube amp is calling your name! 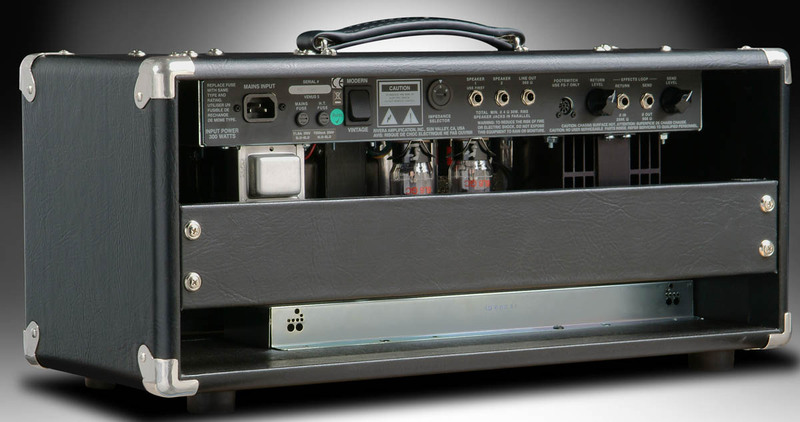 Imagine super high gain but sounding "pretty and sweet" because of it's class A 6l6 power section. 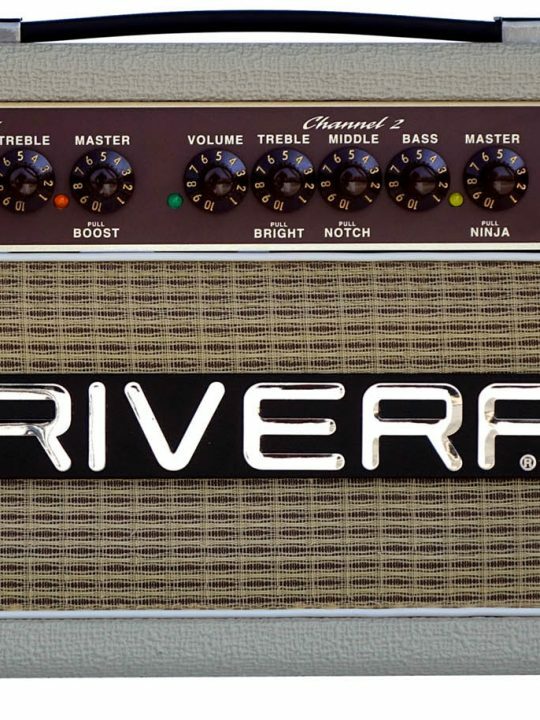 The clean tone in this amp our most beautiful clean channel to date. 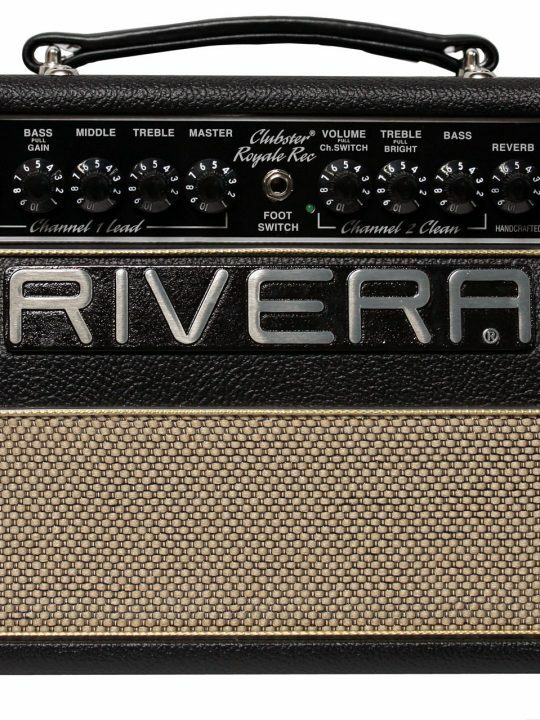 35 watts of dual 6L6 Class A Magic, two independent channels with 3 band equalization powered by 5 12ax7 tubes, a lead channel with extraordinary gain and sustain, a super rhythm channel with oodles of headroom, and a new channel assignable and foot-switchable Accutronics spring reverb. 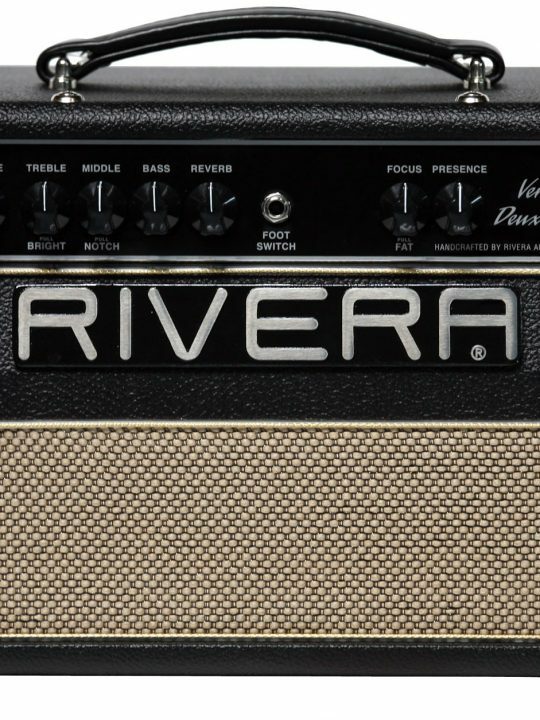 Our Rivera Vintage-Modern switch on the rear panel allows the power to be cut down to 15 watts while enhancing the even order harmonics, making it indispensable for low level recording, small venues performing, and practice. 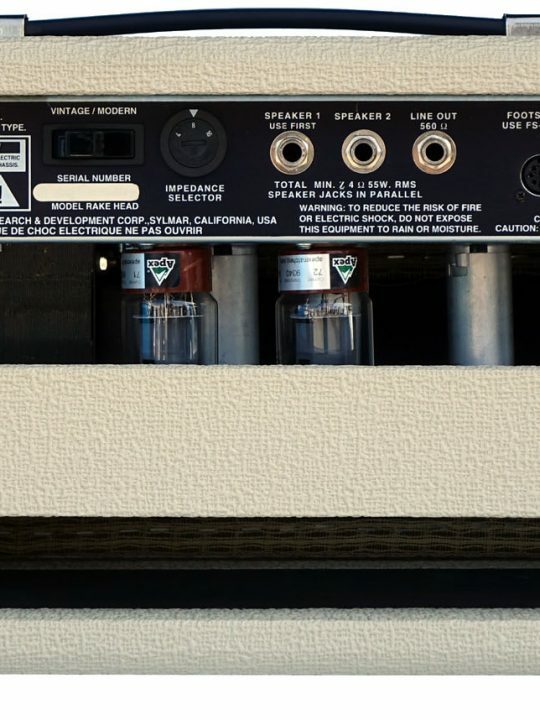 A detachable power cable as well as the AC mains fuse is easily accessed. 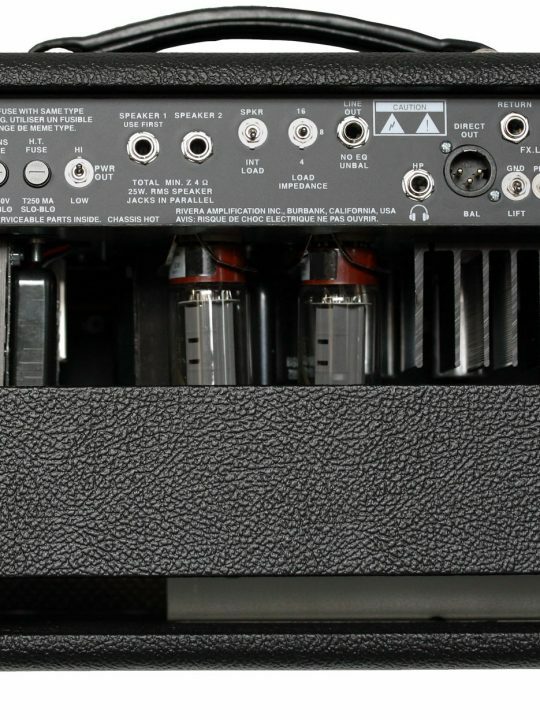 Two speaker jacks and an impedance selector switch allow connection to the internal as well as external speakers. 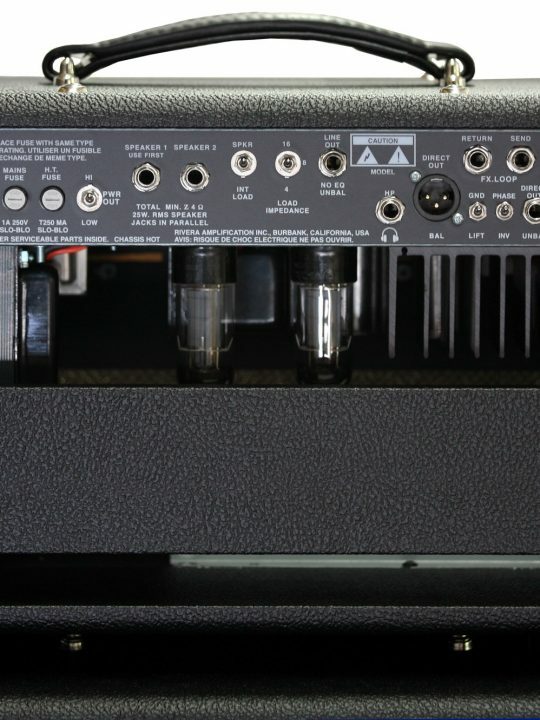 A Line Out jack gives you the option of slaving another amp or recording directly from the power amp signal that is at line level. 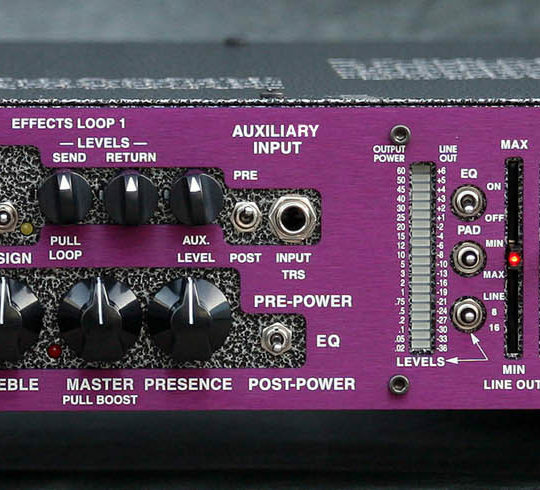 An active effects loop with send and return level controls allows easy patching and signal matching to any external signal processor chain. 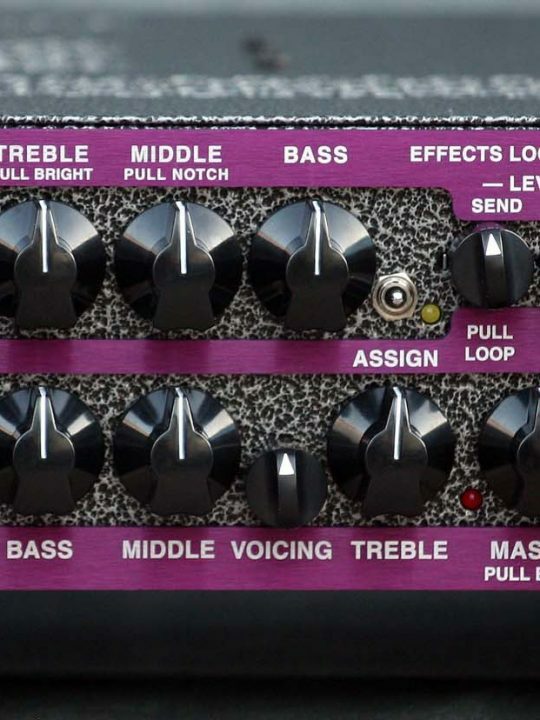 A 3 function FS-7R foot switch is included. Also, available as a Top Available in Black or Pearl White as standard colors.